Editor’s Note: The Boca Raton Tribune is thrilled to announce that Jon Carter will join the staff as a columnist with his “Carter Talks” column. My name is Jon Carter and I immigrated from Ontario, Canada in 2009. Moving can be stressful for anyone but moving to a new country as a 13-year-old is a complete culture shock. I didn’t know it at the time, but I had moved to the greatest city in the world: Boca Raton, Florida. Living in a very small town that had seen all its jobs vanish, offered very few educational opportunities, and had a terrible climate caused people to grow up with a dream of getting out and moving anywhere else. I felt like the luckiest kid on earth playing at massive parks like Sugar Sand or going to pristine public beaches and learning about our unique ecosystem at Gumbo Limbo. I truly believe that there is no place better to grow up than Boca Raton. Since arriving here, I’ve seen Boca Raton go through many changes and it has been exciting to witness the transition of our beautiful city. While I was a student at Boca Raton Community High School starting to think about where I would pursue my higher education, I was always warned to avoid FAU (or what we called “Find Another University”) if I wanted to get a good education and live the “college experience.” I ended up going to Palm Beach State College to save money while I figured out what I wanted to do. I had the honor of serving as Palm Beach State College’s Student Body President for two years and eventually became the youngest appointed to Boca Raton’s Community Advisory Panel. As a member of the Panel, I am part of a team of volunteer residents from different backgrounds in our community who come together to host town halls and listen to the input of the residents of Boca Raton to suggest improvements to our City Council. 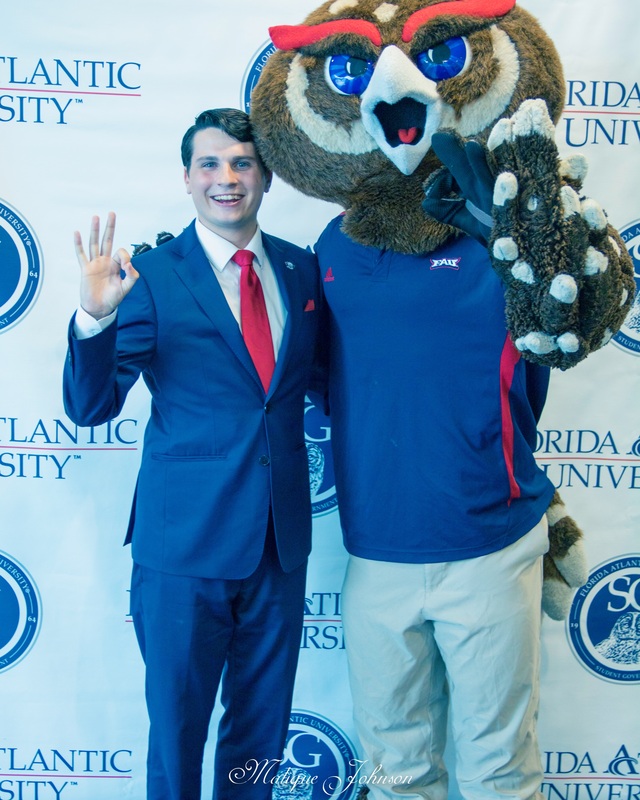 In 2017, I transitioned to Florida Atlantic University, which now one of the top public universities in the state, and later that year was appointed as Vice-Chairman of the Community Advisory Panel. We are living in a very interesting time in our city. Our universities are growing, businesses are attracted to us, and people are moving here to start their families. I’ve had some pretty cool experiences throughout my college years and now as a senior at FAU, I hope this column can provide some insight on politics, college life, and what our amazing city has to offer. This is column is for you, the reader, so if there is ever a topic you would like me to cover, please do not hesitate to ask.